This quote is a suitable way of encapsulating the history of the University of Richmond. A university with Baptist origins that admitted Jewish students at a time when many Ivy League institutions balked, we are now among the most ethnically, economically, and racially diverse campuses in the country, and among the 1 percent of American universities that are need-blind, meeting all demonstrated need of our students. We are also situated in a city that has evolved; what was once the seat of the Confederacy is now a vibrant and diverse center of commerce and intellectual innovation. In the midst of rapid change, the University of Richmond seeks to be a leader in place-based dialogue, striving to understand Virginia’s 400-year-old history of racial justice and injustice, even as we draw students, staff, and faculty from around the world. 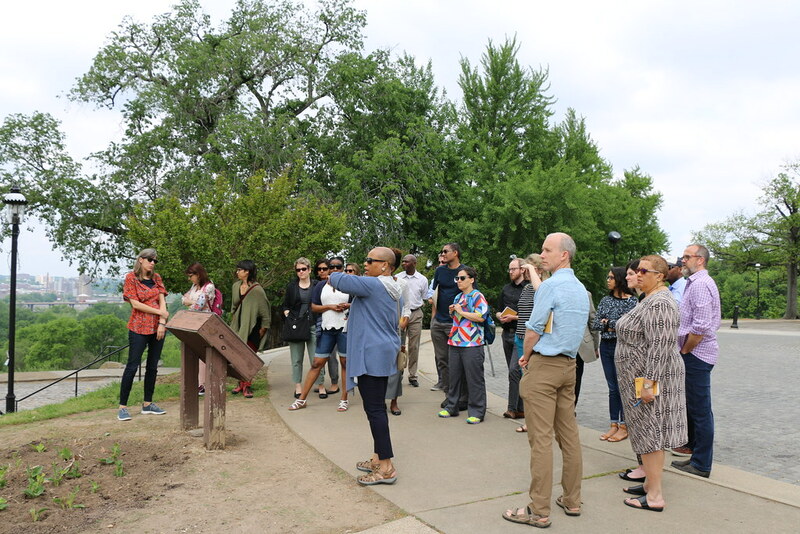 A practical and contextual grounding in place-based teaching and learning is critical for cultivating a community of learners responsive to the challenges of social and racial inequity. The Arc of Racial Justice initiative will connect many existing efforts, including those under the banners of the Terms of Racial Justice, the Bonner Center for Civic Engagement, the Office of International Education, Common Ground, and the Race and Racism Project, to bridge the historical realities of the people we attract to this university, to the city, and to our aspirations. 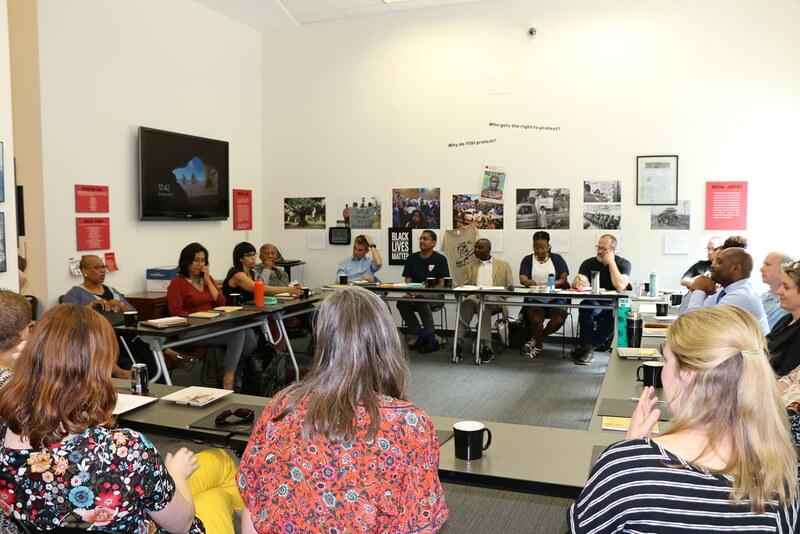 Faculty interested in the teaching and scholarship of race and racial justice were invited to apply to the first Arc of Racial Justice Institute, which will take place from May 7-11. 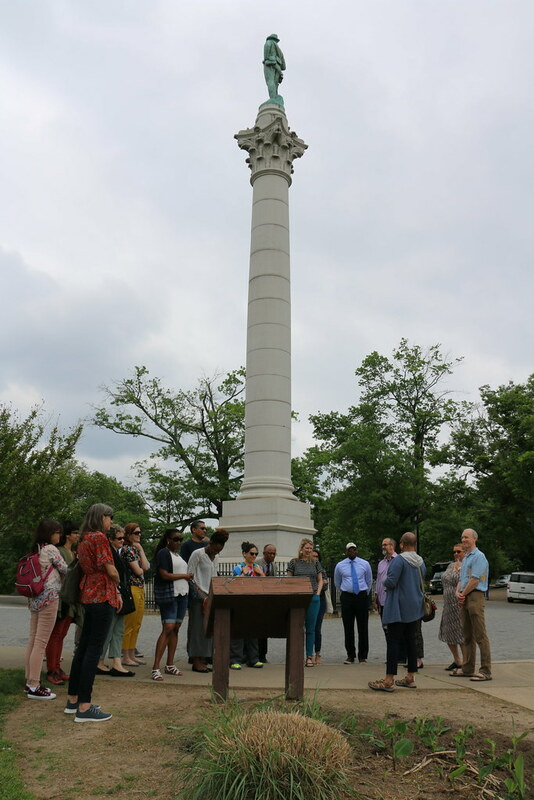 The Institute will ground the subject matter in place-based study, through the lens of Richmond, VA and countries with deep histories of racial inequity and slavery, and will feature faculty facilitators from UR and elsewhere. The 16 faculty members selected to participate, who represent 13 different disciplines across A&S, will prepare a scholarly article or book chapter to be submitted for publication or create a course to be taught in the 2018-19 academic year; the group will reconvene in 2019 for a seminar to discuss outcomes with fellow participants. The Arc of Racial Justice Institute will be led by A&S Dean Patrice Rankine and associate professor of rhetoric and communication studies Nicole Maurantonio, in partnership with the Bonner Center for Civic Engagement, Common Ground, and the Office of International Education. Contact Dean Rankine with questions about Arc of Racial Justice.